The location is good, close to metro and to Conaught Place, they allow their guest to have a shower in the evening even when checked out already. The staffs are warm and friendly except for one. The spread for breakfast was good too. The location is really good because Connaught place was really near. The Location and view from city facing rooms is good, overall you will enjoy your stay. Location and food was good. The staff was also good. The dinner buffet was superb value for money, because I got a discount for staying. My room was huge and great to have meetings in. Breakfast was good. Housekeeping staffs are good. Good location. The Park New Delhi This rating is a reflection of how the property compares to the industry standard when it comes to price, facilities and services available. It's based on a self-evaluation by the property. Use this rating to help choose your stay! One of our best sellers in New Delhi! 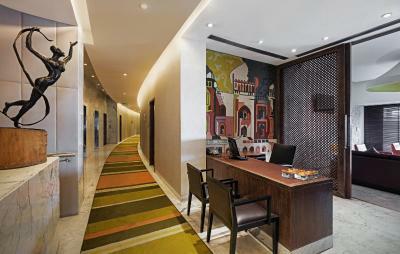 A luxury hotel in New Delhi’s Connaught Place, The Park New Delhi offers accommodations with modern comforts. It houses Aura Spa and Agni Nightclub, and also features 3 dining options. 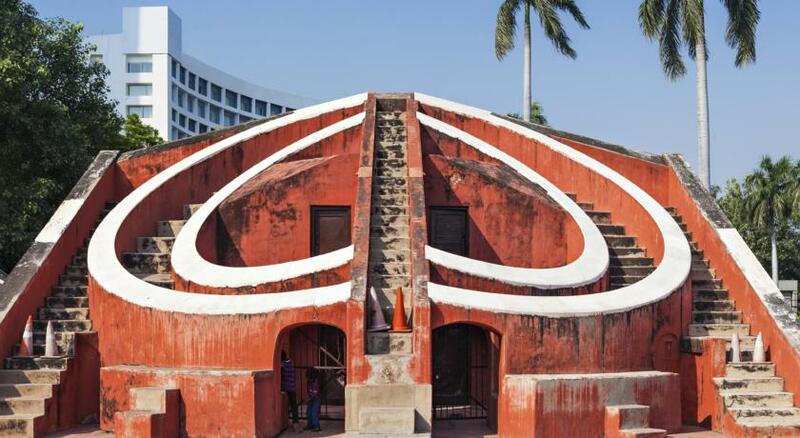 The property overlooks the 18th Century observatory Jantar Mantar. Free WiFi is available throughout the property. Air-conditioned rooms come with a flat-screen TV and safety deposit box. Each room has a private bathroom with shower and hairdryer. Certain rooms feature bathtub. The spa offers a gym, a sauna, and daily yoga classes on the terrace overlooking the pool. 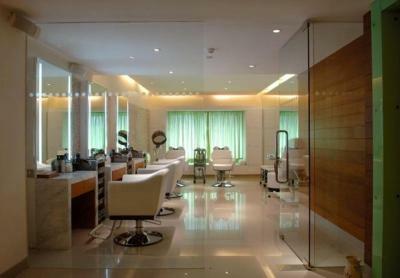 Other facilities include a tour desk, a business center and a beauty salon. Guests who love to shop can select from a variety of beauty products, stationery and unusual gift items from The Box. Aqua Restaurant offers poolside dining, accompanied by nightly music from the resident DJ. The 24-hour Mist Restaurant serves Italian, Asian and Mediterranean delights. Agni Bar features a variety of cocktails. The Park New Delhi is 1.7 mi from New Delhi Railway Station. The popular India Gate is 2.3 mi while the Rashtrapati Bhavan is 1.6 mi. It is 8.7 mi from Indira Gandhi International Airport. Connaught Place is a great choice for travelers interested in culture, food and ancient landmarks. This is our guests' favorite part of New Delhi, according to independent reviews. When would you like to stay at The Park New Delhi? Offering additional living space, room features a flat-screen TV, personal safe and a private bathroom. This room has a flat-screen TV, a DVD player, and a safety deposit box. It also has a mini-bar and a tea/coffee maker. The bathroom features a shower, and hairdryer. This large air-conditioned room comes with complimentary WiFi for one device, DVD player, tea/coffee maker and a mini-bar. 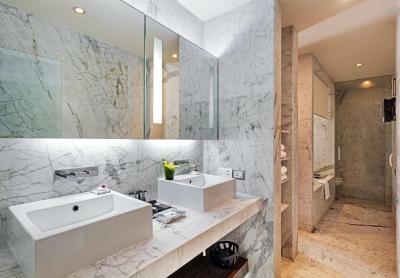 The attached bathroom comes with a Japanese style bathtub, flat-screen TV and rainshower. This suite has a mini-bar, air conditioning and executive lounge access. This spacious suite has a DVD player, cable TV and air conditioning. It allows private lounge and library access. It includes a butler for your personal service. The Park New Delhi features a stunning interior concept by British designers Sir Terence Conran & Partners, playing upon modern concepts of movement and transparency. Only hotel situated in heart of Connaught place and facing historical monument Jantar Mantar. Hotel surroundings – This neighborhood is a great choice for travelers interested in culture, food and ancient landmarks – Check location Great location - show map Guests loved walking around the neighborhood! House Rules The Park New Delhi takes special requests – add in the next step! Any additional older children or adults are charged INR 2500 per night for extra beds. The Park New Delhi accepts these cards and reserves the right to temporarily hold an amount prior to arrival. Please note that for security purpose all Indian guests are required to present a valid photo ID proof (Voter's ID, Driving License, Aadhar Card, any other ID with address approved by the Government of India. A Pan Card is not acceptable). All international guests are required to present a valid passport and visa. Please note that the complimentary internet facility is restricted to only 2 device. Charges are applicable for additional devices. the bed was really not very comfortable, the mattress obviously had seen many guests and was slightly hanging through. Some of the staff was not at all friendly. Breakfast was okay but for a five star hotel definitely below standard as were the rooms. Some hotels seem to be so proud of their room lightning system that they make it hard for the guest to try and find all light switches before going to sleep. The bar in-house is in fact a night club which is not really inviting. The bar at the pool suffers from a mosquito infestation, so, if you accept to be bitten it is quite nice out there. The place certainly does not deserve five stars. The Air conditioner (AHU) makes continuous sound which becomes more noticeable at night while sleeping. NothingNo proper amenities in toilet, very old furniture, breakfast was not up to the standard. Delay in getting room. If the guest is to be given room at 2.00pm. I got the room at around 4pm. My only constructive criticism would be on the Restaurant staff they need to be more organised and need a bit more fast paced customer care and service. Especial mention to Bharat who set an example if the others followed his attention to customer service we are there! Very outdated property. Switches in the bathroom in extreme bad state. Rooms were older and although clean did feel under valued for price per night. It is expensive. I was staying here for a couple nights RR but if your on a budget then I wouldn’t stay here because everything within the hotel costs a lot of money. But for luxury this is amazing! Great hotel. Great breakfast selection. Staff lovely. Good gym. Only issue was that there was a private party on so the use of the pool was not allowed for a large quantity of the time. Also sun only gets the pool in the morning before about 11am. The hotel manager is excellent name called SUNNY HIS VERY POLITE AND HELP FULL ALL THE PEOPLE R EXCELLENT. LOVE TO STAYTHERE.